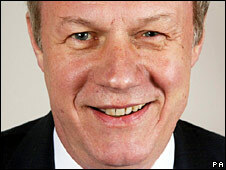 Damian Green has won praise from within Tory ranks for putting the government on the defensive on immigration issues. The Conservative immigration spokesman, who was arrested last year over leaks of Home Office information, is a former television journalist. He worked for John Major when he was prime minister and entered parliament as an MP at the 1997 election. He has embarrassed Home Secretary Jacqui Smith over information divulged about her department. Mr Green is regarded as one of the "attack dogs" of David Cameron's team, and since being appointed to his current job in 2005, he has led the Tory charge over claims that the Home Office has "lost control of Britain's borders". Mr Green was educated at Balliol College, Oxford, where he was the president of the prestigious Oxford Union. Married to Alicia, with two daughters, Mr Green went to Reading School in Berkshire before taking a first-class honours degree in philosophy, politics and economics. After university, he worked as a financial journalist, with jobs at the BBC, Channel 4 News and The Times. He was the presenter and city editor of Channel 4's Business Daily programme between 1987 and 1992, when he left to fight the election. He went on to work in 10 Downing Street as a member of Prime Minister John Major's Policy Unit from 1992-94. After being defeated at the hands of Ken Livingstone in the Labour safe seat of Brent East in the 1992 general election, he entered parliament as MP for Ashford in Kent in 1997 and has represented it ever since. He joined the Tory front bench soon after his arrival at Westminster, acting as spokesman for education and employment, then the environment, between 1998 and 2001, before being promoted to the shadow cabinet by Iain Duncan Smith as shadow education secretary. He was moved out of the shadow cabinet when it was reduced in size as Michael Howard took the Tory helm, but served as shadow transport secretary until 2004 when he stepped down. At that time, he said he wanted to argue the case for "compassionate Conservatism". On the backbenches, he sat in the influential Home Affairs and Treasury committees before being recruited as a member of Mr Cameron's first frontbench team in December 2005. He is chairman of the Parliamentary Mainstream grouping of moderate centre-right Conservatives, and a vice-president of the Tory Reform Group, as well as serving as a vice-chairman of the John Smith Memorial Trust, founded in memory of the former Labour leader to promote democracy around the world. Mr Green is the author of six books - most recently co-writing Controlling Economic Migration with former shadow home secretary David Davis. He lists his recreations as cricket, football, opera and cinema.